A heads-up for drivers in the Spring Hill area of Fairfax County. Construction for the Dulles Metrorail project is closing some roads. Lanes are being closed at the intersection of Route 7 and Spring Hill Road from 9 p.m. to 5 a.m. through Saturday. 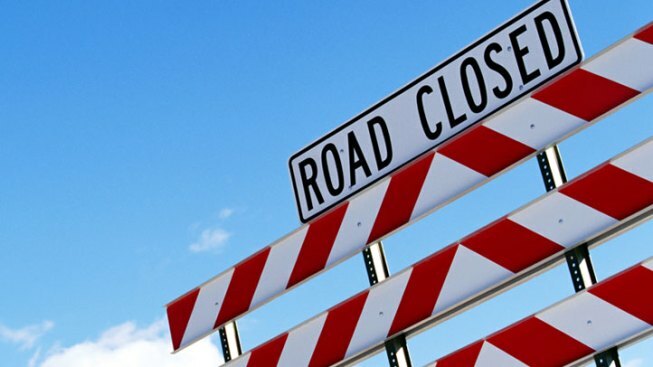 Also, the eastbound ramp off Route 7 onto eastbound Route 267 is closed Wednesday starting at 9 p.m.
Officials recommend as a detour drivers stay on eastbound Route 7 and make a uUturn at Tyco Road, then follow westbound Route 7 to access eastbound Route 267. Also this week, drivers won't be able to turn south from Route 123 to International Drive during overnights starting at 11 p.m. The recommended way around this closure is to continue on Route 123, exit to westbound Route 7, turn right onto Westpark Drive, then right onto Greensboro Drive to get to International Drive. Also closing at various days and times overnight this week: the right lane of southbound Route 123 near Tysons Boulevard, the right lanes of southbound Route 123 near Scotts Crossing Road, the left lanes of westbound Route 7 near Route 123/Frontage Road, and the left lane of the eastbound Dulles Access highway near Wolf Trap Bridge and near the Route 7 overpass. Drivers on Magarity Road between Route 267 and Olney Road should expect to see a flagging operation from 9 p.m. to 5 a.m. Wednesday and Thursday. More information is available at 703-572-0506.